THIRDY Ravena came to his sister Dani’s defense against bashers who went after the Ateneo volleyball star. The UAAP Season 81 women’s volleyball tournament is right around the corner and internet trolls are picking on Dani, who’s the libero for Ateneo. The youngest among the Ravena brood could not help but to get affected. Kuya Thirdy, who admitted that he also has a lot of bashers, knows how it feels. “The more you try to listen or to read kung ano ang nasa social media, the more ka ma-affect eh,” said Thirdy. “Kahit naman sabihin mo hindi ka na-aaffect, masakit ang sinabi nila eh, subconsciously [masasaktan ka], tao ka lang naman,” he added. But he has the best advice for Dani. “Gusto lang nila [bashers] pinapansin sila, so don’t give them the attention that they want,” said Thirdy. Kuya Thirdy pointed out that as long as their family gives her the support system that she needs, no one’s opinion would matter. 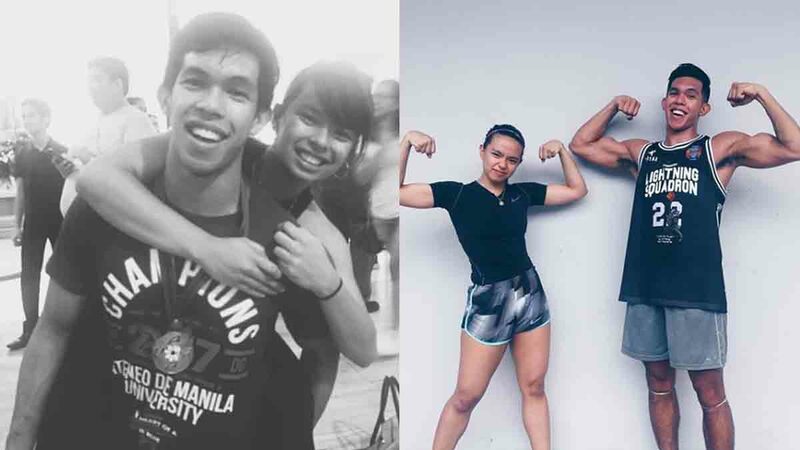 “Minsan nakikita ko siya uuwi na umiiyak kasi pagod na pagod na sa training and sa studies, but she won’t give up,” he said. “As long as, we as a family, we know how much effort she gives, sabi namin sa kanya, wag na niyang papansinin yung mga yun,” he added.